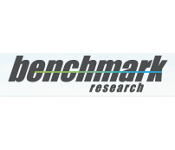 Benchmark Research, founded in 1997 by Mr. Mark Lacy and Mr. Scott Barrett, began with the simple yet fundamental goal of providing exceptional service in clinical research. Benchmark’s basic philosophy is that quality is paramount, and integrity, professionalism, dedication, and old-fashioned hard work should be applied to the burgeoning clinical trial industry. Starting in the Fort Worth, Texas metro area with just one doctor, the firm began providing services in a variety of therapeutic areas. As Benchmark rapidly grew, in 1998 the firm opened a second facility in Austin, Texas. The Austin operations were similar to Fort Worth in that the site was an internal medicine group. However, the Austin location – adjacent to the University of Texas, one of the country’s largest university populations – led quickly to tremendous growth. The Austin office’s proximity to the University benefited the site by providing Benchmark with a vast pool of potential patients for acute condition studies. Also in 1998, Benchmark recognized and capitalized upon emerging industry opportunities by creating a centralized recruiting department to facilitate aggressive, seamless, and appropriate advertising, as well as for pre-qualification of prospective patients. Thus, the Benchmark Research Support Center was opened in Miles, Texas to handle toll-free patient recruiting calls, print advertising/marketing, general administrative, and financial aspects of the young firm. The following year (1999), Benchmark began operations in San Angelo, Texas. San Angelo was an ideal site to serve an extensive region and population ignored by our competitors, and to utilize the large and prestigious West Texas Medical Associates (WTMA) facility. Association with the WTMA encourages doctor referrals and broadens Benchmark’s scope of therapeutic capability.